The world got its first taste of If God Be For Us as performed by Marvin, Carvin and BeBe Winans during the 50th Anniversary commemoration of the March on Washington on August 28th. What you may not know is that the brothers have come together to form a new group, Three Winans Brothers (3WB). 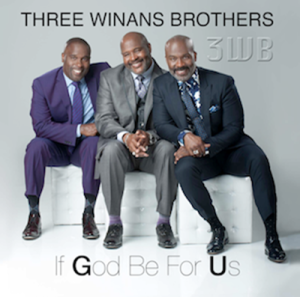 BeBe Winans penned the powerful single which is a fresh take on Romans 8:31 and after yesterday’s performance is sure to be a hit. Look for the single on digitial outlets soon and an album release in early 2014.